For the 65 percent of Palm Harbor adults who detect wisdom teeth in their late teens or early twenties, Prestige Dentistry generally recommends removal. Wisdom teeth can damage adjacent teeth, nerves and, due to their awkward positioning, can increase risk of tooth decay and gum disease. Furthermore, they often come in crooked, crowding the other teeth and affecting the bite. Wisdom teeth are also difficult to clean, especially if they do not fully erupt, which is a common trouble for many teens and young adults who discover them. This can cause a detrimental infection, as bacteria can be trapped under the skin where brushing and flossing is difficult. 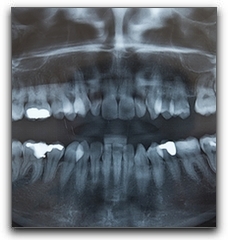 After removal, Prestige Dentistry recommends wisdom teeth extraction patients carefully follow the instructions given. Bleeding is inevitable and should be expected to last up to three days. Rinsing is counter-productive, but firm pressure should be applied by biting down on the gauze pads to help stop the bleeding. Swelling following wisdom teeth extraction is a sign that the healing process is progressing normally. Swelling that recedes and then re-appears after a few weeks, however, is a sign of infection. If this happens to you, it is important that you speak with us ASAP. Prestige Dentistry recommends an examination seven to ten days after the extraction to make sure the wounds are clean and there are no complications. An antibiotic wash can be applied if infection is present. Keep in mind that many troubles can be avoided if the Palm Harbor patient has his or her wisdom teeth removed when their dentist advises. This is a case where a “let’s wait and see” approach can cause problems. To schedule a dental exam or a wisdom teeth consultation, contact our Palm Harbor dental practice today.